By Valerie Aguilar, BellaOnline’s Hispanic Culture Editor – The people of Costa Rica have a great passion for music. Classical music is a very important segment of the Costa Rican musical cache. Costa Rica has claimed one of the world’s most impressive National Orchestras for over a century. Among many bands from Costa Rica, one band that has made an impressive impact around the world is Editus. The band is made up of the violinist, Ricardo Ramirez, the percussionist, Carlos Vargas, and the guitarist Edin Solis. These famous artists are extremely talented. Carlos Vargas graduated from the Conservatorio Castella and also has studied photography and alternative medicine. He is certified for therapy with acutonics (vibrational therapy with fingerboards). Vargas currently offers talks about the power of sound and of the importance of music in the collective history and individuality of the human being. Ricardo Ramirez studied with the National Youth Symphony Orchestra of Costa Rica and graduated from the music program at University of Costa Rica. He is a producer and a member of various groups: Strings Latin Ensemble, Akustic Ensemble, Violectronic, Violche and CRES Ensemble. Edin Solis graduated in classical guitar from the Conservatory of the University of Costa Rica. He also studied and toured in Europe as a solo guitarist. Solis was awarded two Grammy awards as a Producer/Engineer Best World Music Album 2002 by the disk WORLD and as a producer and Mix Engineer Best Contemporary Tropical Album 2003 by WORLD. 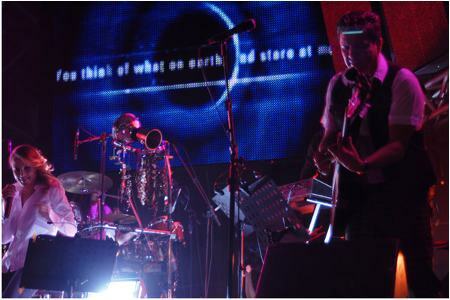 The compositions of Editus are quintessentially Costa Rican music. This vibrant yet gentle music is part of the heart and soul of Costa Rican culture. Their songs are a melding of modern music with classic jazz, classical and new age. The trio is often accompanied by the famous Panamanian salsa singer Ruben Blades, bassist Marco Navarro and Costa Rican keyboardist Walter Flores. Their exquisitely beautiful and highly esteemed music led them to be the only band in the history of Costa Rica to secure three Grammys. Editus’ Grammys were for Best Latin Pop Presentation for the song called Tiempos with Ruben Blade, for their album Mundo in Best World Music Album and Best Contemporary Album categories. They have earned numerous other awards in Costa Rica and internationally. Their albums include Ilusiones (1994), Siempre Vol. I (1995), Inéditus (1996), Dibujando Memorias (1997), Calle del Viento (1998), De cada uno (2001), Poética (2002), Siempre Vol. II (2003), Lo mas “ New Age” (2004), Editus Clásico (2005) and 360 (2009). I wrote this while listening to Editus’ elegant album, Siempre.